The 24 hours Surgery is open 24 hours a day, 7 days a week for when general practice is unavailable, ie, at capacity or closed. 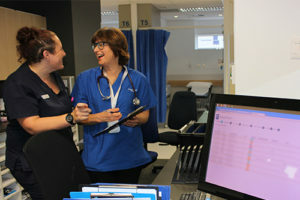 The 24 Hour Surgery also helps deliver the Acute Demand Management Service in Canterbury. This service is for people who require urgent medical care but their treatment can be managed in their own home or in the community instead of the hospital. The 24 Hour Surgery employs medical officers, nurses, facility assistants, reception and administration staff.